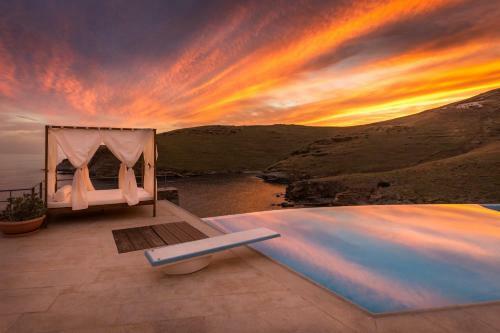 Blueros Luxury Villa is located in Megas Gialos, Syros. The villa common facilities include bar, garden, barbeque, pool bar	and outdoor pool. The property offers villa and other might be available upon request. The rooms provide sea view, pool view, garden view, mountain view and landmark view. Amenities of the rooms include air-conditioning, heating, tv, fridge, etc. In the bathroom there are hairdryer and free toiletries.